One of the traps for the new Labour leadership is the notion that politics in Britain today is entirely about deficit reduction. How to do it? How fast? How much? Yes, we need to have an intelligent and balanced response to the Tory-Lib Dem government’s cuts frenzy, but Labour victories have always been based not just on good management but on policies to make our society better. One element of the 1997 victory was the separate New Life for Animals manifesto, which set out a long list of ways that Labour would make Britain more compassionate. The best-known reform was of course the hunting ban, but arguably the animal welfare act 2006 will change the life of animals in Britain more deeply, because it makes it possible for future government to introduce easily-passed secondary legislation on everything from circus animals to pet markets. It was the first comprehensive animal welfare legislation for 96 years. “In the battle between the two Miliband brothers for the Labour leadership crown, things are getting a little bit tense. Ed admitted to the Daily Mirror that hadn’t spoken to David in two weeks – but he insisted the contest would not damage their relationship. There are many signs on the wall in Oona King’s campaign office. One states that you may have “tea, or coffee, and MAYBE a biscuit”. A poster charts the details of hot drink preferences for every member of the office (Oona, decaf coffee with milk). Somebody has hand-drawn a week countdown calendar to the ballot on a piece of A4 paper. It is simple but well organised. Oona’s office is up a tiny spiral staircase. There are dog-sized seagulls staring in at the window of the boathouse-type affair on Heron Quay, but even their squalling, which occasionally drowns out the recording, can’t do much to mask Oona’s cackling laugh. Had we used the Uncut Laughometer for our crowdsourced interviews, Oona’s would have won on the decibel of her laugh alone. 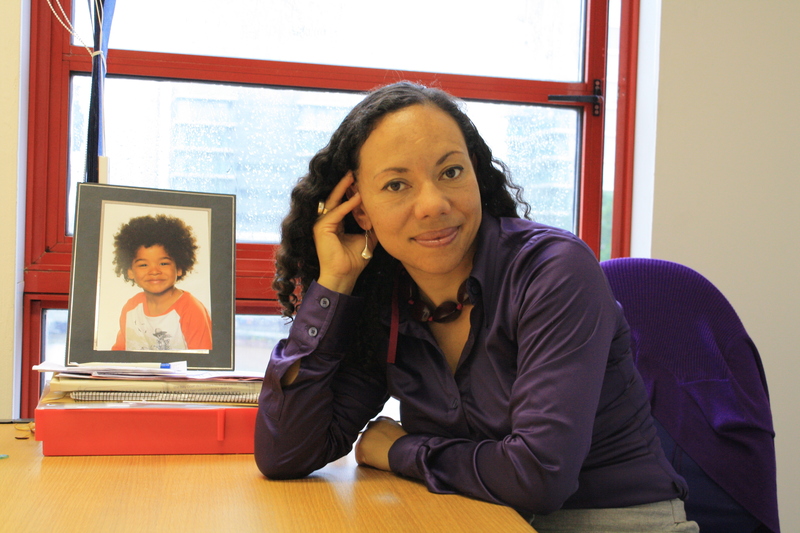 As the campaign staff whisper around the Newsnight team setting up downstairs, Oona perches in heeled patent red boots on her office chair, next to a picture of her model-cute son and cackles away with her spin doctor. (She can’t show us any pictures of her little girl, she explains, because her phone and laptop were stolen at the weekend). THE TINY BAND which follows my musings on Twitter knows three things: I can’t spell; I regularly Tweet globally matters meant for private consumption; and during the world cup I mounted an isolated and ultimately futile campaign in defence of Emile Ivanhoe Heskey. To me, Big Emile is socialism personified. The collective before the individual. The selfless work ethic. Dignified persistence in the face of intolerance and prejudice. The Conservative MP for the seat of Dudley South is the millionaire heir to the Keltruck haulage fortune, Chris Kelly. After barely two months in Parliament, he took the opportunistic photo intervention to new places on 16 July. One Conservative colleague described him as “the most self-promoting man, including all politicians, that I have ever seen”. We must not let him out of our sight. 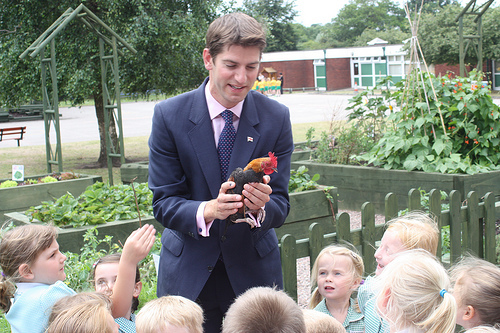 In the meantime, what is Chris saying to the young game cockerel, or vice versa? Was David Miliband marauding before the gun was fired? THERE was an intriguing little tale in last week’s Independent diary. It’s a story that has been doing the rounds for a while. The question was whether or not David Miliband was running a “shadow” leadership campaign during the general election, when everyone else’s noses were firmly pressed against the grindstone. The Indy reckons it has proof that Miliband Major was buttering up Labour members in safe seats rather than knuckling down to campaign in nearby marginals. The paper seems to have a copy of his campaign itinerary from 25 April that shows the then foreign secretary touring Burnley, Blackburn, Bolton South East and Manchester Withington, meeting “members and supporters” rather than actual voters. Uncut has commissioned Dave Howells to produce that crucial leadership contest accessory: the top trumps. Like real top trumps, it won’t keep you amused for very long unless you are a small child. But with the Milibands’ respective movements for changes each trundling on and Andy Burnham’s new 9,000 word manifesto o’ t’North just out, we’re confident that there’s a market for minor distraction. Readers who feel that any scores have been misassessed, or that new special powers should be added, are encouraged to record them below. (The graphic may take a while to load on slower connections). You can follow Dave Howells on Twitter.